Sports therapists give advice to athletes on how to train and compete safely, as well as treat injuries and assist with rehabilitation. Their aim is to prevent injuries and to help those who are injured to return to full fitness. Sports therapy and rehabilitation is concerned with musculoskeletal conditions arising from sporting activity, not with general healthcare. It focuses on understanding and preventing sports injuries and dealing with the effects of physical and emotional trauma due to sports injuries. Please note, we are not Physiotherapists, nor should claim to be! Sports therapists may work in sports injuries clinics or may work directly with a sports club or sportsperson, either professional or amateur. Many therapists combine working in this discipline with other sports-related roles. They may have a range of clients and workplaces, rather than being employed by one organisation. Has the knowledge and ability to provide sports massage pre, post and inter activity. Has the knowledge and ability to implement appropriate rehabilitation programmes. Has the knowledge to utilise sports and exercise principles to optimise preparation and injury prevention programmes. A Sports Therapist may be trained, educated and capable of providing care from a basic first aid level to graduate status. However, only those who are members of The Society of Sports Therapists will have been deemed as meeting the required levels of competencies and knowledge necessary to be covered by Professional Indemnity Insurance. Qualified members will have MSST after their names, student members will have SMSST. 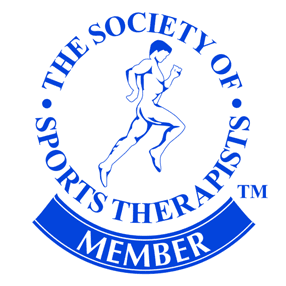 Only those who are members of The Society of Sports Therapists will have undertaken an accredited programme of study and achieved standards of knowledge and competencies that are recognised and recommended by the lead professional body in Sports Therapy. 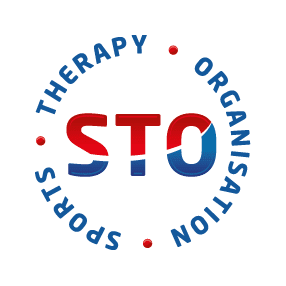 A Sports Therapist is an integral part of the multi-disciplinary team necessary to provide the best care, management and rehabilitation for sport and recreational participants, regardless of age and ability. They are recruited and used for their injury knowledge within the Sporting field and work closely with chartered Physiotherapists.